The mission of Information Technology Services is to provide technology leadership, expertise and services in support of the teaching, learning, research and outreach goals of the University of Redlands. Service – Customer service is our highest priority. We want to deliver solutions that enhance our customer’s experience in a positive, professional manner. Respect – We are honest, responsible, reliable, thoughtful, responsive, and well mannered. We act with integrity. Balance – We recognize the importance of a balanced approach to security, stability and availability, while fostering an environment of innovation and tradition. Participation - We strive for inclusive and collaborative processes to reach decisions by consensus when appropriate. We are responsible for staying involved and informed. Enjoyment –We foster an environment where creativity, diverse ideas, humor, and fun are encouraged. We enjoy what we do and celebrate our successes. • Provide leadership in planning for the effective use of technology. • Deliver information technology products and services that meet the needs of the Redlands community and achieve the highest level of customer satisfaction. • Support the use and development of information technology to enable academic innovation in teaching, learning, research, and scholarship. • Provide a robust, reliable, and secure information technology infrastructure. • Attract, develop, and retain quality information technology professionals. 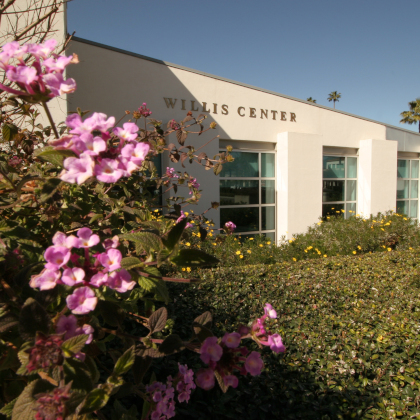 • Enable communication and collaboration among information technology professionals and users of information technology at Redlands.